Amritsar is one of the most ancient and fascinating cities of India. It is an important seat of Sikh history and culture. Being the gateway for travellers coming to India on the overland route from central Asia it soon became the centre of various commercial activities. Amritsar has various historical & religious sites, most famous Golden Temple. Amritsar's main airport is Sri Guru Ram Dass Jee International, which is more commonly known as Raja Sansi after a nearby village. 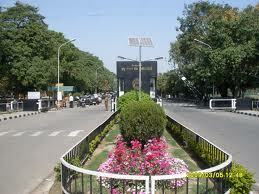 It is located about 11 kilometres, or 15 to 20 minutes' drive, from Amritsar city centre. Flights are available with carriers such as Jet Airways, Lufthansa and bmi. While many services operate via Indira Gandhi International Airport in Delhi, direct links to Amritsar are available with Air India. Travellers can take a taxi from Raja Sansi to get to the centre of Amritsar, a major city located in the state of Punjab in north-west India. As well as serving as the administrative centre of the district of the same name, the city of Amritsar is recognised as the spiritual heart of the Sikh religion, making it one of Punjab's most important destinations. Located near India's western border with Pakistan, just 32km east of Lahore, Amritsar has a population of nearly two million people and relies on tourism as one of its main sources of income, as well as sectors such as agriculture and textiles. The city was founded in the 1570s by Sikh guru Ram Das and has a rich religious and cultural history for travellers to explore. Visitors will also find a range of hotels, restaurants, shops, cafes and other amenities that will help ensure their stay is as comfortable as possible. 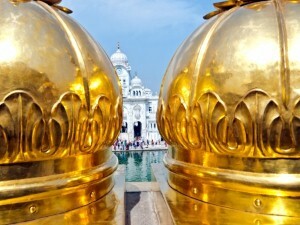 One experience that should certainly not be missed during a trip to Amritsar is visiting the Golden Temple, the city's leading attraction and a site of great significance to Sikhs. The complex is open from 06:00 local time until the early hours of the morning and is usually buzzing with activity, with pilgrims from all over India and further afield regularly visiting in high spirits. Another highlight of a trip to the Indian city is the Central Sikh Museum, which is part of the Golden Temple. The institution was established in 1958 and boasts a collection of paintings of gurus, saints, warriors and other figures of importance to the religious faith. Visitors can also see coins, ancient weapons, manuscripts and other fascinating items for free. Travellers interested in learning more about one of the darkest chapters in Amritsar's history can head to Jallianwala Bagh, a public garden that was the site of a massacre in 1919. The park is now home to a memorial to the thousands of people who were killed or wounded. More memorable spectacles and experiences are on offer at Mata Temple, a Hindu cave temple devoted to the 20th-century saint Lal Devi. Women hoping to become pregnant often visit the complex, navigating shallow waterways, low tunnels, staircases and hallways to reach the main shrine. Some of Amritsar's most picturesque sights can be found in the Ram Bagh park, which was named in tribute to the guru who founded the city. The gardens, which are located in the new part of town, encompass features including an elaborate panorama celebrating the achievements of Sikh maharaja Ranjit Singh, who was known as the Lion of Punjab. People visiting this attraction can also explore a museum housing exhibits including weapons and artworks. Visitors to the Golden Temple must remember to cover their heads, remove their shoes and wash their feet before entering the complex. Bandanas are on sale for guests who want to take home a souvenir but are also available for free at the entrance. Like many destinations in India, Amritsar can become uncomfortably hot during the summer months of April, May and June, when temperatures can climb as high as 45 degrees C.
July to September is monsoon season and post-monsoon season continues until November, so the best bet for people who would prefer mild conditions is to visit in February, March or April.